As new PE capacities come on stream globally – which started in 2017 and will continue into 2018 and beyond – the impact on the global supply and demand balances will be far reaching. There is concern that tariffs on US material to China will exacerbate their impact, and fresh trade routes will have to be found, irrespective of the potential impact on the pricing. Europe is particularly open to such impact. 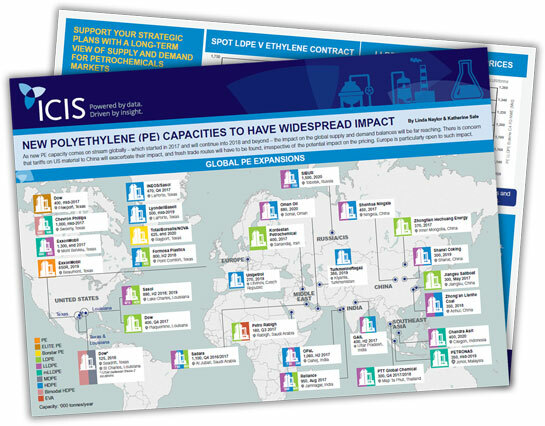 Find out more about the global PE expansions in this infographic by ICIS editors, Linda Naylor and Katherine Sale.